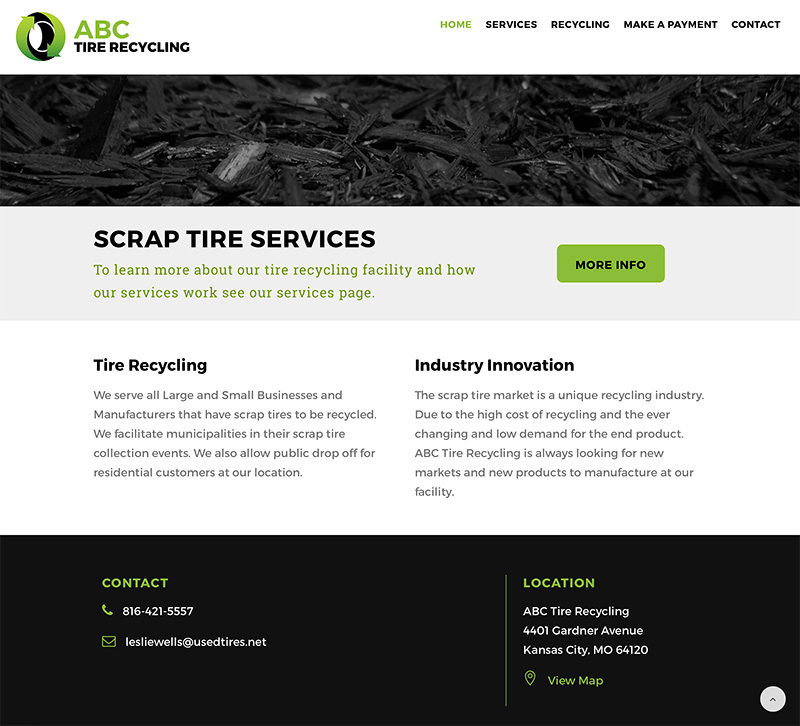 I was called upon to develop two websites for a local Kansas City used tire recycling center. 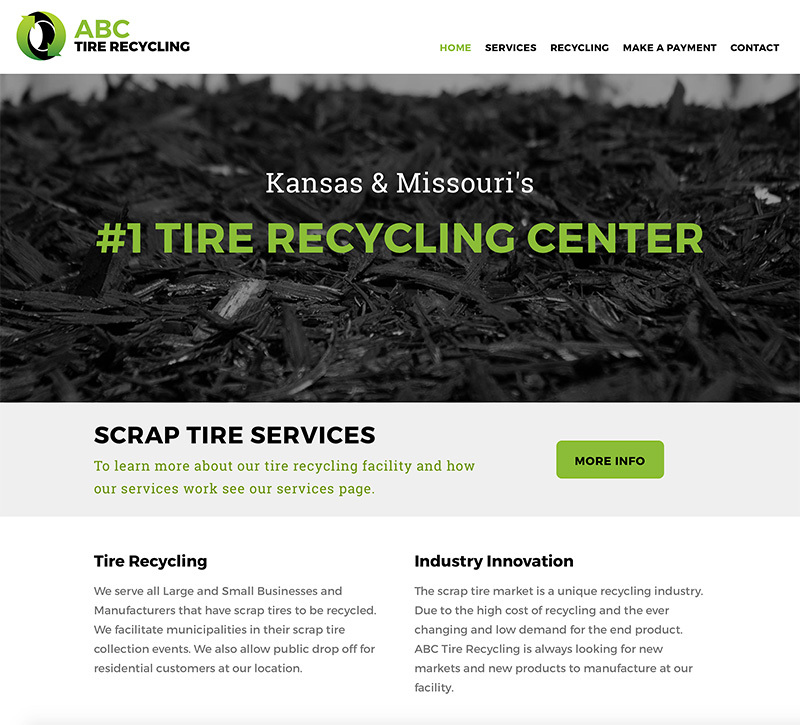 Both sites were developed using Wordpress and though they are not identical, they have a similar look and feel since they are related businesses. 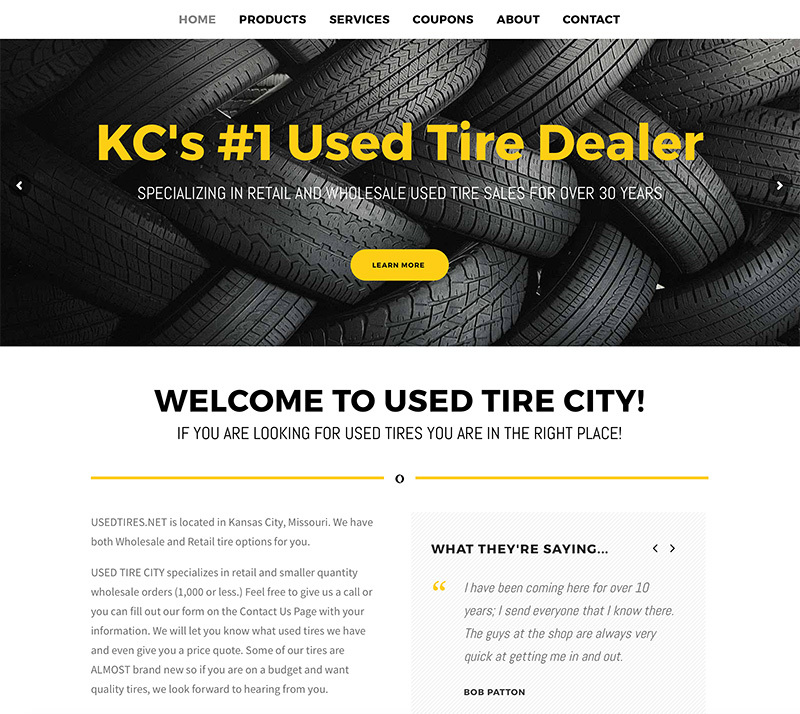 The Used Tire City website was upgraded from an older website. 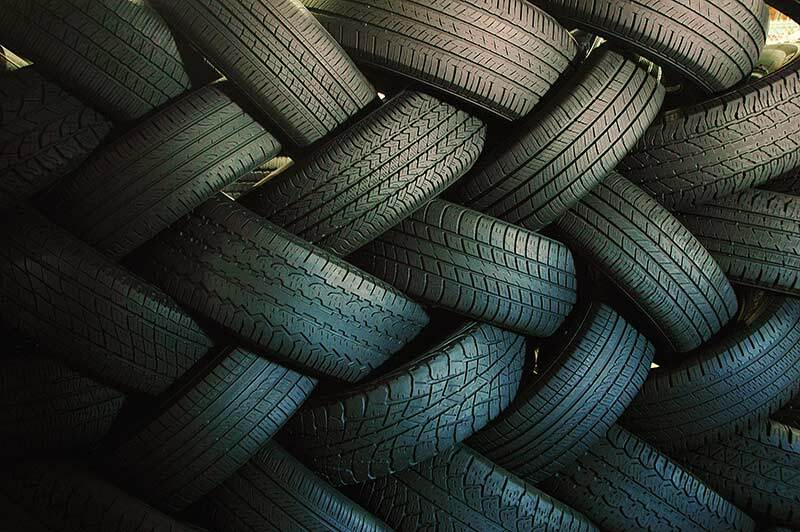 It focuses more on tire services—balance, repair, and rotation. It’s clean, bright, easy to navigate and performs well in search engines. 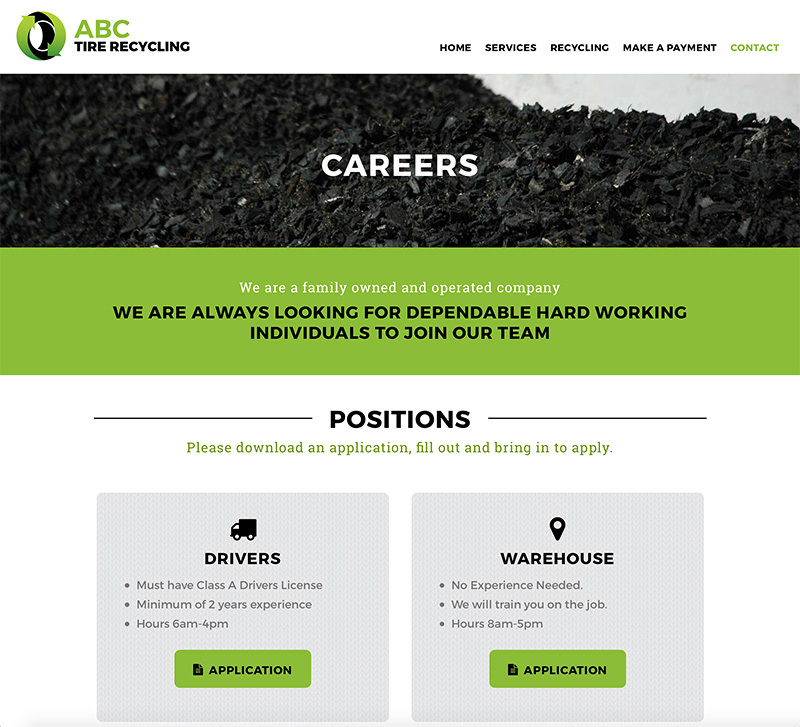 The ABC Tire Recycling website was brand new. 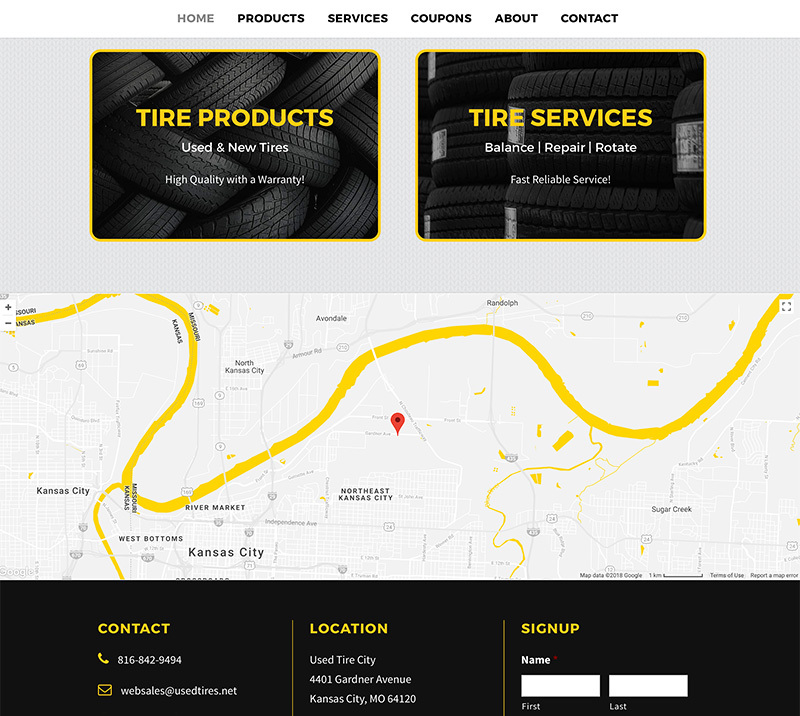 Its design was intentionally borrowed from the Used Tire City site.